Aug. 8, 2018, Cleveland: The National Heart, Lung and Blood Institute (NHLBI), part of the National Institutes of Health, awarded a $4.7 million grant to Cleveland Clinic to study the prevention of life-threatening, cancer-associated blood clots. The five-year grant, led by Keith McCrae, M.D., and Alok Khorana, M.D., supports the creation of a new risk assessment tool to better predict which cancer patients will develop blood clots during treatment. The project, led by Cleveland Clinic's Taussig Cancer Institute and Lerner Research Institute, will coordinate a consortium of three sites involved in this NHLBI program. Other sites include Beth Israel Deaconess Medical Center (Harvard Medical School) and the University of Cincinnati. "About 20 percent of cancer patients develop blood clots, which can cause stroke, hospitalization and delays in treatment. In fact, cancer-associated thrombosis is the second leading cause of death in patients with cancer," said Dr. Khorana, director of the gastrointestinal malignancies program at the Taussig Cancer Institute. "This grant will help us address the challenge of identifying who will develop blood clots and enable us to treat them proactively with blood thinners to prevent this complication." 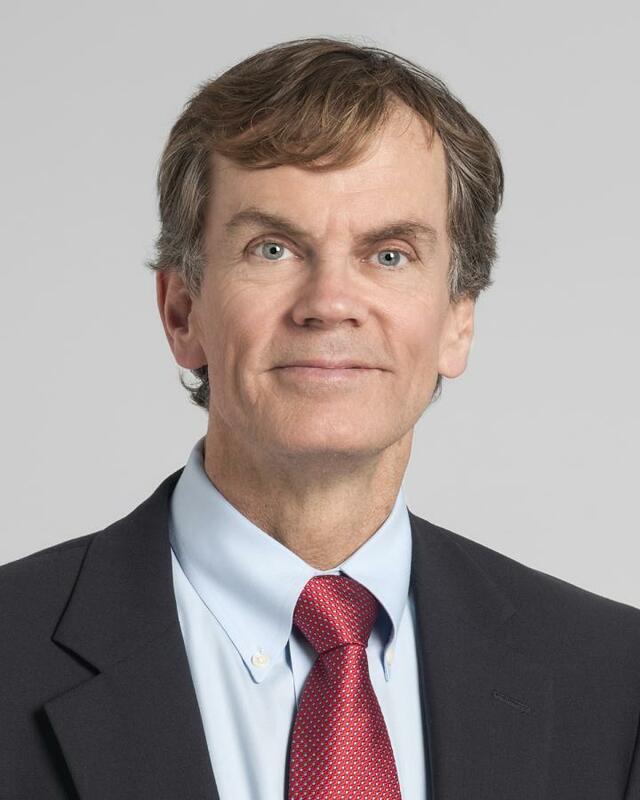 "Cancer-associated blood clots are a critical clinical problem, and we urgently need better ways to predict which patients are at greatest risk," said Dr. McCrae, director of hematology at the Taussig Cancer Institute. "This NHLBI grant will provide new information that will greatly improve the management of patients with cancer, arming physicians with an advanced statistical tool to better identify who may develop this common and harmful side effect." <p><strong>About Cleveland Clinic</strong></p>  <p>Cleveland Clinic is a nonprofit multispecialty academic medical center that integrates clinical and hospital care with research and education. Located in Cleveland, Ohio, it was founded in 1921 by four renowned physicians with a vision of providing outstanding patient care based upon the principles of cooperation, compassion and innovation. Cleveland Clinic has pioneered many medical breakthroughs, including coronary artery bypass surgery and the first face transplant in the United States. <em>U.S. News &amp; World Report</em> consistently names Cleveland Clinic as one of the nation's best hospitals in its annual &quot;America's Best Hospitals&quot; survey. Among Cleveland Clinic's 52,000 employees are more than 3,600 full-time salaried physicians and researchers and 14,000 nurses, representing 140 medical specialties and subspecialties. Cleveland Clinic's health system includes a 165-acre main campus near downtown Cleveland, 11 regional hospitals, more than 150 northern Ohio outpatient locations - including 18 full-service family health centers and three health and wellness centers - and locations in Weston, Fla.; Las Vegas, Nev.; Toronto, Canada; Abu Dhabi, UAE; and London, England. In 2017, there were 7.6 million outpatient visits, 229,000 hospital admissions and 207,000 surgical cases throughout Cleveland Clinic's health system. Patients came for treatment from every state and 185 countries. Visit us at clevelandclinic.org. Follow us at twitter.com/ClevelandClinic. News and resources available at newsroom.clevelandclinic.org.</p>     <p><strong>About the Lerner Research Institute</strong> </p>  <p>Lerner Research Institute is home to Cleveland Clinic's laboratory, translational and clinical research. Its mission is to promote human health by investigating in the laboratory and the clinic the causes of disease and discovering novel approaches to prevention and treatments; to train the next generation of biomedical researchers; and to foster productive collaborations with those providing clinical care. Lerner researchers publish more than 1,500 articles in peer-reviewed biomedical journals each year. Lerner's total annual research expenditure was $260 million in 2016 (with $140 million in competitive federal funding, placing Lerner in the top five research institutes in the nation in federal grant funding). Approximately 1,500 people (including approximately 200 principal investigators, 240 research fellows, and about 150 graduate students) in 12 departments work in research programs focusing on heart and vascular, cancer, brain, eye, metabolic, musculoskeletal, inflammatory and fibrotic diseases. Lerner has more than 700,000 square feet of lab, office and scientific core services space. Lerner faculty oversee the curriculum and teach students enrolled in the Cleveland Clinic Lerner College of Medicine of Case Western Reserve University - training the next generation of physician-scientists. Institute faculty also participate in multiple doctoral programs, including the Molecular Medicine PhD Program, which integrates traditional graduate training with an emphasis on human diseases. Lerner is a significant source of commercial property, generating 64 invention disclosures, 15 licenses, 121 patents and one new spinoff company in 2016. Visit us at http://www.lerner.ccf.org. Follow us on Twitter at http://www.twitter.com/CCLRI.